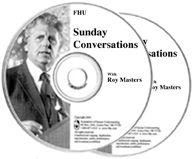 Roy Masters says it like it is in no uncertain terms and if you appreciate what he means when he says, Americans used to be different, his remarks will seem like a breath of fresh air. Now is the time to change how you react to treachery. Roy tells a story about what happened to him on the way to the talk that for you, it could be life altering. He covers a lot of subjects; your habits, the best way for children to learn, living forever, betrayal, fixing your life, being politically correct, intuition, appeasers, illness, regeneration, belonging and joining. When Roy Masters speaks to America, we hope she is listening, especially on Roy’s Facebook page, where he is starting to do live chats.